In 1977, Dr. Ibrahim Abouleish envisioned a project for sustainable development that would allow him to contribute to community-building, humanity, and healing the earth. He founded SEKEM in the desert to embody itself as a community in which people from all walks of life could work together, learn from one another, and help each other to sound as one in a symphony of harmony and peace. SEKEM developed since 1977 providing services and thousands opportunities of employment. Schools, vocational training centers, and health services followed through rigorous effort and perseverance. In 2009, Heliopolis University completed the full circle of this series of developments as the first university for Sustainable Development in Egypt. In 2003, Dr. Ibrahim Abouleish was awarded the Right Livelihood Award in Stockholm “for a 21st century business model which combines commercial success with social and cultural development”. In 2004, the World Economic Forum designated Dr. Ibrahim Abouleish as an “Outstanding Social Entrepreneur” establishing the blueprint for the healthy corporation of the 21st century. In 2006, Dr Abouleish was one of the fifty people from all around the world instituting the World Future Council. 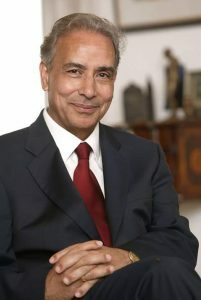 In 2005 and in 2010 respectively, The Medical University and the Technical University in Graz (Austria) awarded Dr Abouleish an honorary doctorate. In addition, he received various honors from several universities and syndicates in Egypt. He also received the First Order of Merit of the Federal Republic of Germany. In 2012, Dr Abouleish received the “Business for Peace Award” in Oslo, the highest distinction given to a businessperson for outstanding business accomplishments.